Reading all of the NHL predictions can leave you wondering what to believe. Some predictions are conservative, others completely off the wall. What it comes down to is no one has a magic 8-ball, it’s basically educated guess work – some more educated than others. With that in mind, here are some predictions for the 2013 NHL season, both conservative and going out on a limb. 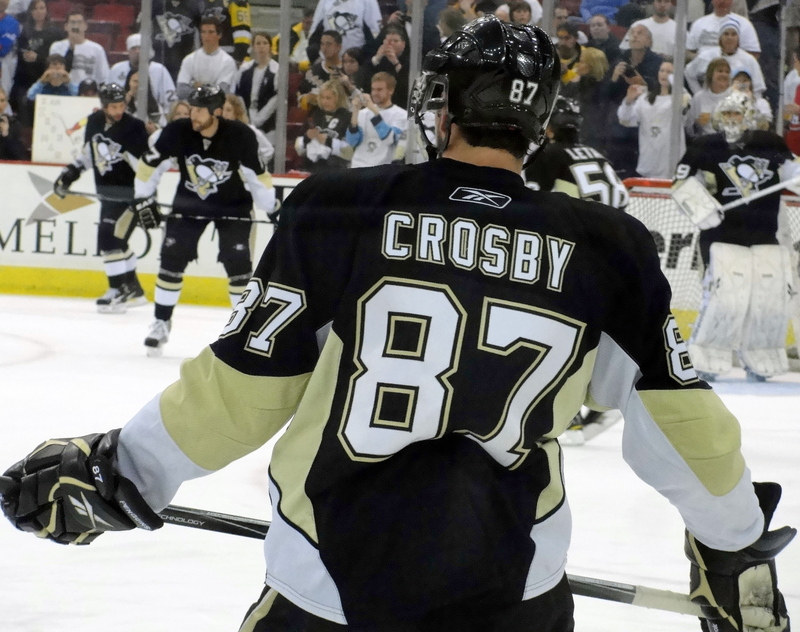 Who I think will win – Pittsburgh Penguins. They’ve got arguably the two best players in the NHL in Evgeni Malkin and Sidney Crosby, another top 10 scorer in James Neal and a potential Norris candidate with Kris Letang. The Penguins were ousted in the first-round of last season’s playoffs by the Flyers, thanks, in large part, to horrendous goaltending. Marc Andre Fleury cannot be that bad again, a full season of Crosby and Malkin, and a strong supporting cast including new addition Brandon Sutter will be too much for any team to handle. Dark Horse – St. Louis Blues. On paper the Blues might be the most balanced team in the league. A strong core of forwards will be bolstered with the addition of Vladamir Tarasenko. The rookie Russian winger was averaging a point-per-game in the KHL before coming to Blues training camp. The biggest question for the Blues is if the goaltending duo of Brian Elliot and Jaroslav Halak can repeat last year’s brilliance in the crease. There’s got to be some regression, but if one of them gets hot heading into the playoffs, the Blues could be in the Cup final. Who I Think Will Win – Evgeni Malkin. The Russian sniper will make it back-to-back MVP campaigns. He’s in game shape having played in the KHL and will reunite with Neal on Pittsburgh’s top line. The duo had great chemistry last year and that should continue. Dark Horse – Jordan Eberle. Of all the players in the NHL, Eberle strikes me as the one ready to breakout and advance to the superstar level with the likes of Crosby, Malkin and Claude Giroux. Eberle will be the captain of the Oilers in a few seasons and the undisputed leader of the team. I think he has a legitimate chance to win the scoring race this season. He’s been playing in the AHL alongside linemates Taylor Hall and Ryan Nugent-Hopkins and the trio will start the season together. I think the Oilers ascendance back to NHL relevancy will coincide with Eberle’s rise to dominance. Who I Think Will Win – Shea Weber. A season like Erik Karlsson’s in 2011-12 doesn’t happen very often, which is the reason he won’t be repeating as the Norris Trophy winner. Instead, Nashville’s Weber will take the honour as the league’s top D-man. Playing without Ryan Suter, Weber will take on an even bigger role in Nashville and prove the Predators were right in matching the offer sheet Philadephia signed him to in the offseason. Dark Horse – Alex Pietrangelo. The St. Louis blue-liner had an excellent season in 2011-12 and had some pundits talking about a Norris nomination. He will continue his emergence as a top tier d-man and cement himself as a franchise cornerstone for the Blues. A shiny new trophy would help in contract negotiations. Despite having heard Roberto Luongo’s name pronounced correctly, Don Cherry will continue to call him La-Longo. Toronto Maple Leafs fans will continue a decade’s long tradition of believing this is the year their team wins the Stanley Cup – it most certainly is not. Pierre McGuire’s head will explode on air after getting too excited about a big Dion Phaneuf hit. NBC will get him put back together for the second period. TSN’s Gord Miller will continue to talk about goaltenders being in the midst of a shut out during games, bucking the hockey tradition of not mentioning a goalies shut out while the game is happening. Several old men will threaten to never watch TSN because of Miller’s antics, then realize they’re in a room by themselves and no one is listening. The smile on Rick Nash’s face will remain for an entire season as he keeps looking at his jersey and realizing it has no Blue Jackets. The Philadelphia Flyers will continue to pursue ginger-haired players via trade to compliment Giroux and Scott Hartnell. It’s all part of GM Paul Holmgren’s plans to weird everyone out with a team of Epic Gingers.